Explainer: what is glaucoma, the 'sneak thief' of sight? If you’re one of the millions of Australians who regularly see an optometrist, you’re probably familiar with having your eye pressure checked as part of a comprehensive eye examination. This is a basic screening test for glaucoma, an eye disease that is the second leading cause of blindness worldwide (after cataracts). It affected more than 57.5 million people in 2015 and this figure is projected to rise to 65.5 million people in 2020. Glaucoma affects some 150,000 people in Australia. Worryingly, 50% of cases remain undiagnosed and untreated and a significant number of people don’t even know what glaucoma is. So, what exactly is glaucoma? Glaucoma encompasses a group of eye diseases that involves progressive damage to the optic nerve, which transmits electrical signals from the eye to the brain. 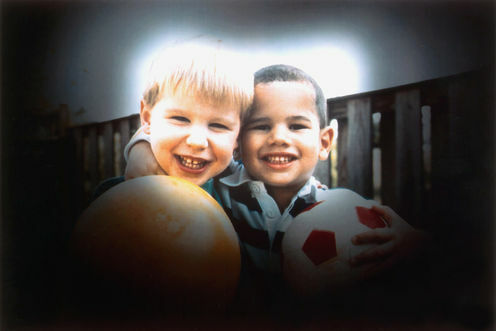 If left untreated, irreversible, progressive vision loss occurs and may result in blindness. There is no cure for glaucoma and treatment aims to limit progression of the disease. Glaucoma is most frequently associated with increased pressure in the eyeball (called intraocular pressure, or IOP). Eye pressure, like blood pressure, is measured in millimetres of mercury (mmHg) and reflects the pressure exerted by the aqueous humour, a watery substance produced within the eye. Because raised eye pressure increases the risk of glaucoma, it is commonly checked during eye examinations. There are many different types of glaucoma. 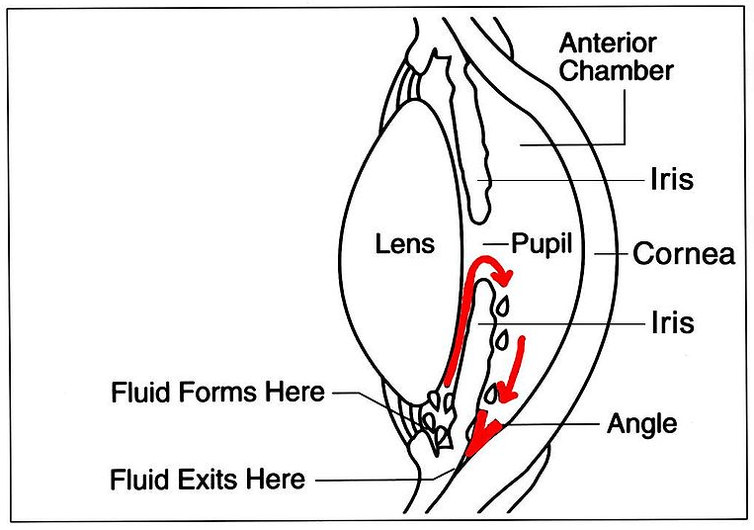 The two most common types are open-angle glaucoma and angle-closure glaucoma, which derive their names from the angle formed between the iris (the coloured part of the eye) and the cornea (the clear window on the front of the eye), through which the eye’s aqueous humour drains and exits the eye. Open-angle glaucoma is the most common type of glaucoma. Damage to the optic nerve occurs slowly and usually in the presence of raised eye pressure, which may be due to excess production or inadequate drainage of aqueous humour, or both. In most cases, it is not known why these occur (primary open-angle glaucoma), but in a minority of cases, it follows inflammatory diseases of the eye, trauma or use of steroid medications (secondary open-angle glaucoma). In open angle glaucoma, the drainage site is open but draining inadequately. Described as the “sneak thief of sight”, vision loss occurs slowly and painlessly and may not be noticed for years or even decades, delaying diagnosis. Peripheral vision is lost first and central vision later, and is irreversible. By the time any vision loss is noticed by the patient, a significant amount of permanent nerve damage will have already occurred. Both eyes are usually affected, but each eye may progress at different rates. 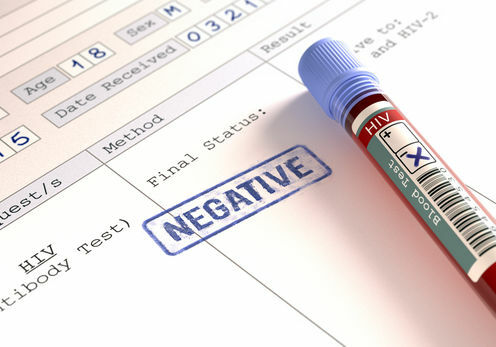 Risk factors include increasing age, family history (glaucoma affecting a parent or a sibling), African ethnicity, high blood pressure, diabetes and shortsightedness. Raised eye pressure is insufficient to diagnose open-angle glaucoma, as many affected patients have “normal” measurements anyway, and not all patients with high numbers will develop glaucoma. Diagnosis therefore depends on an ophthalmologist actually looking at your optic nerve or demonstrated visual field loss on vision tests. There are currently no established guidelines on screening for open-angle glaucoma. The NHMRC recommends regular eye checks for Caucasians over the age of 50 and for people of African descent over the age of 40. Screening eye checks should begin earlier in the presence of risk factors, such as a first-degree family member affected by glaucoma. They should be performed by an optometrist or ophthalmologist. Treatment of open-angle glaucoma is focused on lowering the pressure in the eye. While effective treatment can slow progression of the nerve damage and vision loss, it cannot reverse damage that has already occurred. A combination of eye drops is used to decrease the production of aqueous humour in the eye or increase its drainage, and treatment is continued lifelong. While they are generally well-tolerated, some types of eye drops can cause side-effects such as redness and irritation of the eyes, increase in number of eyelashes, darkening of the iris and eyelash colour and worsening of asthma and heart failure. If eye drops fail to adequately reduce pressure, laser therapy and surgery can be performed to increase drainage of aqueous humour in the eye. Angle-closure glaucoma is less common than open-angle glaucoma. It involves a closure of the drainage angle between the iris and cornea, thereby impairing the outflow of aqueous humour and causing an increase in pressure. This increase in pressure damages the optic nerve in a similar way to open-angle glaucoma. The degree of angle closure may be mild and cause damage over years and decades without causing any symptoms (chronic angle-closure glaucoma). However, a sudden closure of the entire angle (acute angle-closure glaucoma) is a medical emergency that can lead to permanent vision loss and blindness over hours or days. 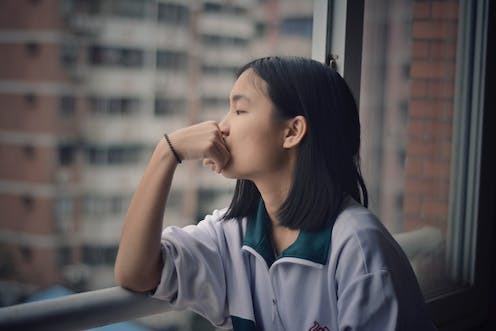 Patients affected by an acute closed angle experience a sudden onset of decreased vision in the affected eye, headache, nausea, vomiting and the perception of haloes appearing around lights. The eye is red and very painful and the cornea appears hazy. Angle-closure glaucoma is likelier to occur in Asian patients, and 75% of cases worldwide occur in Asian countries. Affected patients have eyes that are anatomically predisposed to angle closure. Other risk factors include a family history of angle closure, older age, and farsightedness. If symptoms of acute angle-closure glaucoma occur, presentation to the nearest hospital emergency department is warranted as vision can rapidly and irreversibly be lost if untreated. A combination of medications (eye drops, tablets and intravenous medications) are used to rapidly lower the pressure in the eye. When the pressure is controlled, a procedure called a peripheral iridotomy is performed, in which a laser is used to burn a tiny hole in the iris to allow the aqueous humour to flow through to the drainage angle. Because there is no cure for glaucoma, and there are no symptoms in most forms of the disease, screening is crucial to ensure cases are detected and treated early. Regular eye checks by an optometrist or ophthalmologist are important and should occur earlier with a known family history of glaucoma. Dr Cameron McLintock, ophthalmology registrar at Queensland Health, contributed to this article.